Need new songs to run / drive to | If Not Now, When? I’m on a quest to find new songs to burn to a CD (no, I do not have an ipod hookup in my car…nor do I have an ipod) for when I’m driving to work. The reason behind this is simple: I now have a much longer commute from my house to work every day. I used to have a measly little 9-mile (15 minutes on a bad day) commute. So traffic and music to take your mind off said traffic wasn’t something that really crossed my mind. Today – reality set in. Since this stretch of road was obviously designed by Picasso when he was tripping on acid, it’s where the HOV / Main lanes / on ramp from a feeder street all come together. It’s a prime area for accidents because people are always trying to go right or go left and this time – a 4 car accident with 2 cars that were clearly totaled. For the record – the entire time that I was sitting there (cops / fire weren’t on scene yet and everyone had self-extracted from their respective cars) the traffic reporters were talking about how ‘State Police report the interstates free of incidents’ and there wasn’t anything on the radio to jam along to. 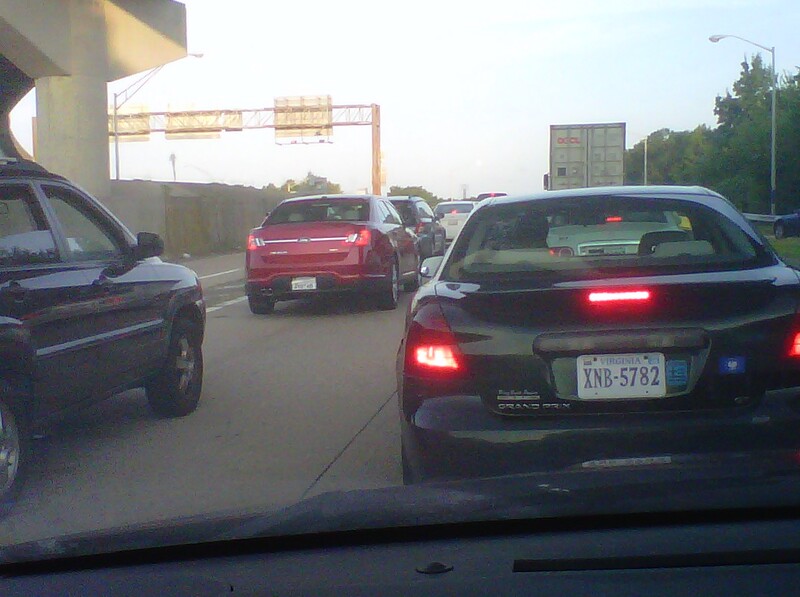 So I need new music – driving / sitting in traffic songs…bonus points available if they are good to run to!